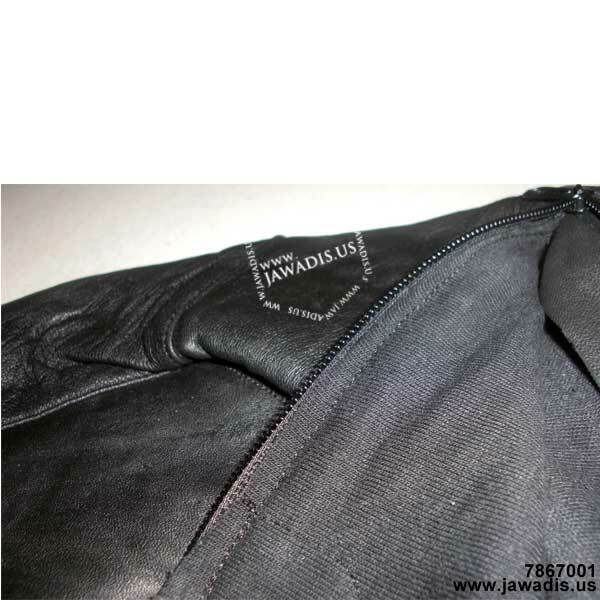 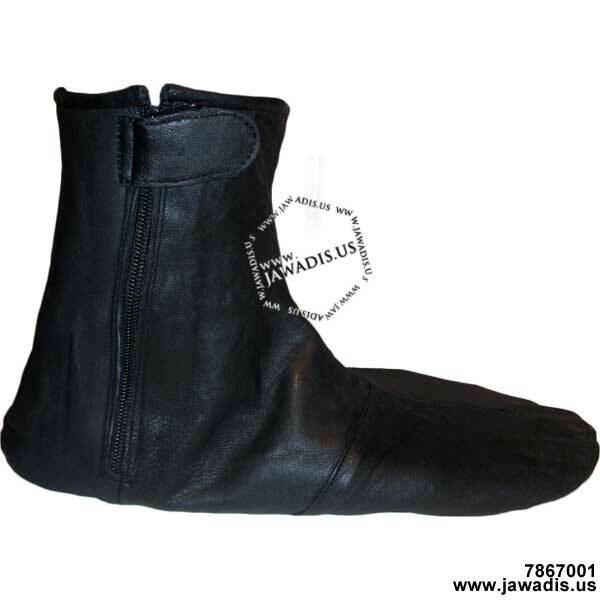 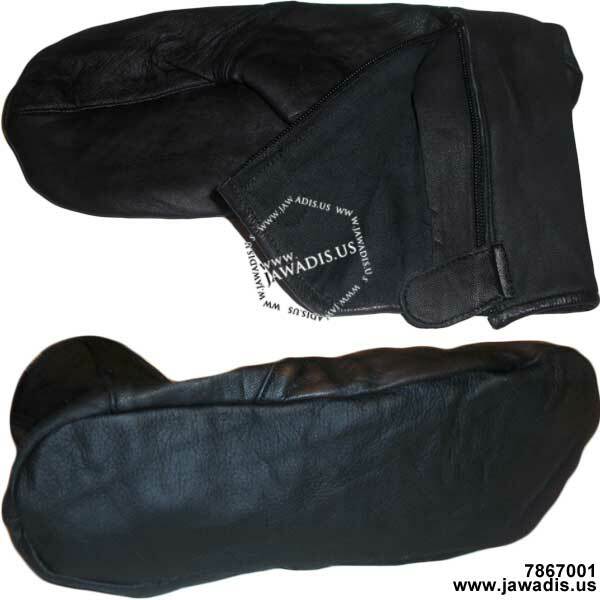 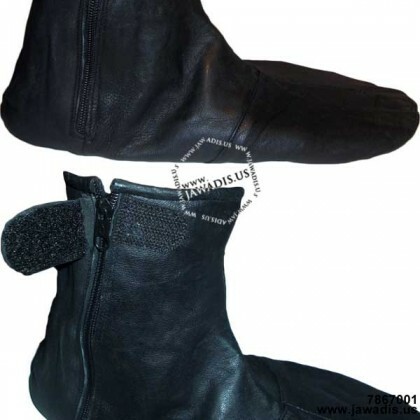 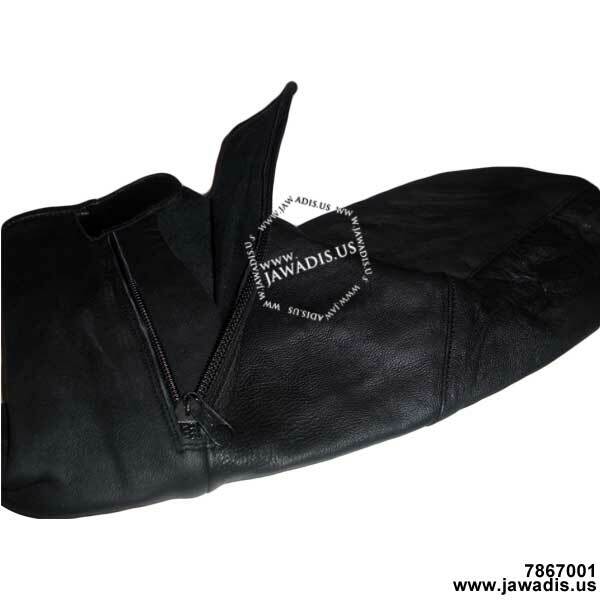 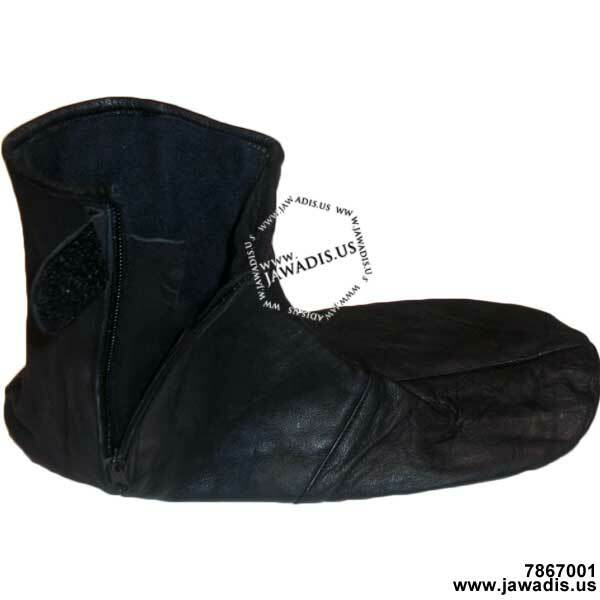 Genuine lambskin leather side zipper to ease of wear on and off Velcro strap over zip to keep sock securely fastened Fleece lining for added comfort Available in U.S. sock sizes for men Suitable for: Distant travels by airplane, bus, train or car. 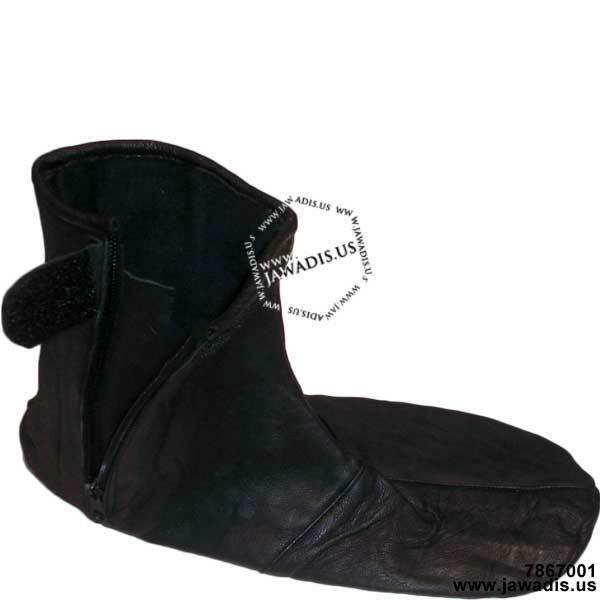 May be worn indoors, or as house slippers/shoes. 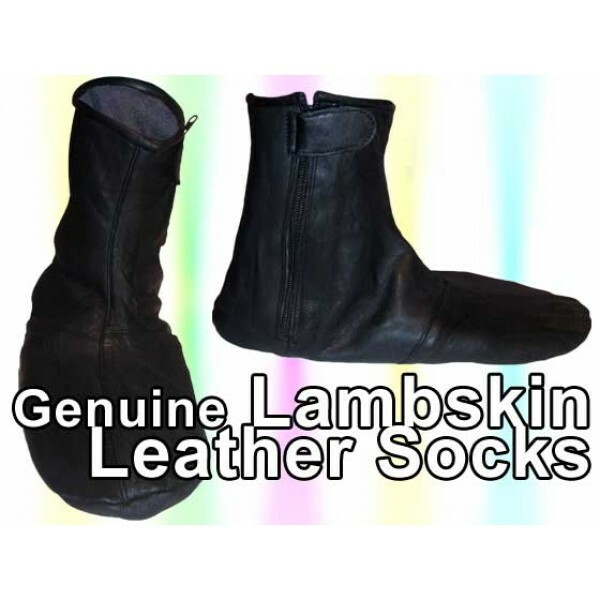 Excellent for dry feet. 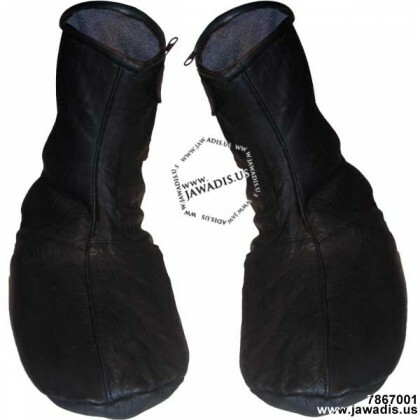 Size note: when buying khuffs, it is always recommended to go with one higher size when in doubt. 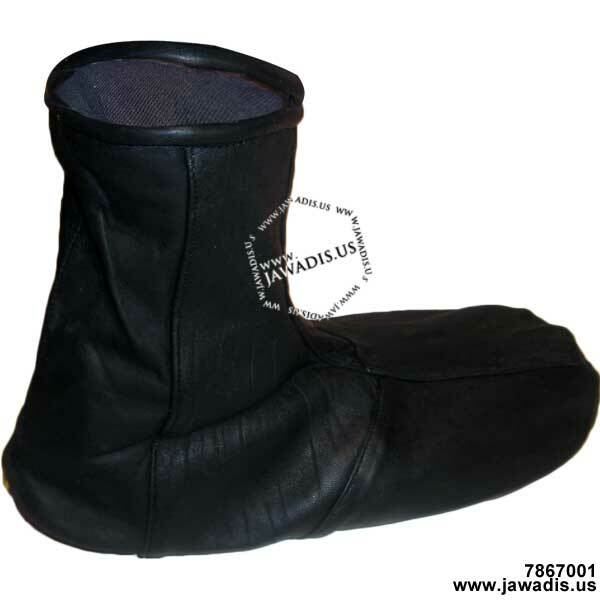 If you would like to know how many inches a sock size you require, measure the bottom of your feet.